The first feature film originally presented as a talkie was The Jazz Singer, released in October 1927. 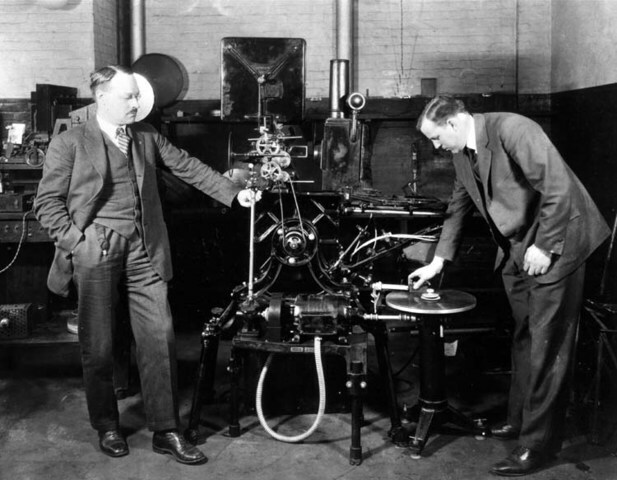 A major hit, it was made with Vitaphone, which was at the time the leading brand of sound-on-disc technology. ... By the early 1930s, the talkies were a global phenomenon.